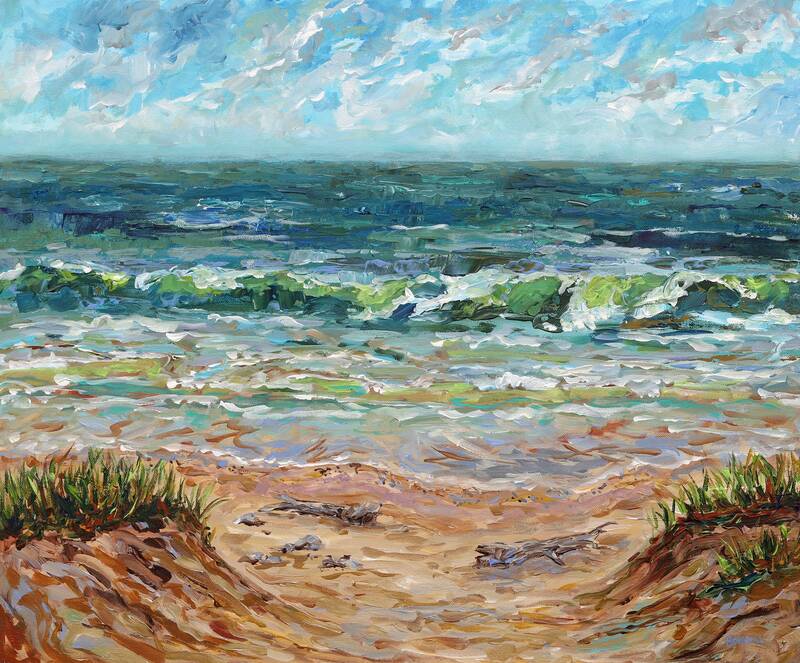 This is a beautiful giclee print inspired by a collection of summer trips to Lake Michigan. Driftwood, sand, beach grass, and the beautiful blue-green lake water. My favorite part to a beach day is taking a nap o the sound of waves with warm sun on my back. The original was done with a mix of brushes and pallet knives.